All firms aim to transform their data in PI System to actionable information. But many use cases take time to be implemented. Functional teams complain that their solutions can take months or even years to deploy or, worse, are never adopted. Sometimes the reason is the complexity of the process or the algorithm but very often, the reason is a lack of methodology and technical capabilities to challenge the development of new features, test non regressions of existing ones, manage evolutions, fix bugs, monitor the data. It is time to move the management of our Data within PI System From Artisanal Craft To Industrial Production. From the delivery process perspective, the major issue is that the functional team is not fully qualified to test the data delivery by its own. They need help to challenge the data quality. They need some Continuous Control Monitoring. 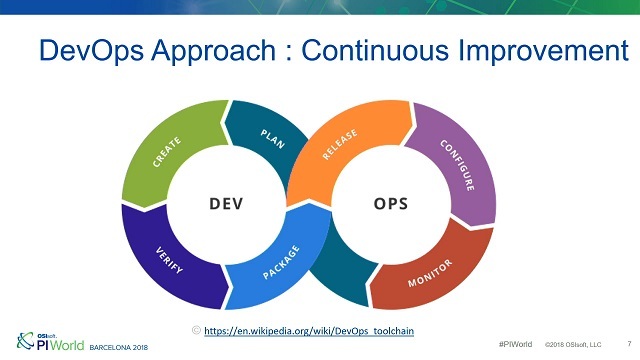 Inspired from Agile, Lean, and DevOps, the DataOps methodology and its toolchains will enable to eliminate daily barrier. Mahyar Sepehr is a DevOps with an IT architecture and software development background. He is the founder of apoIO company. He is expert in Cloud architecture including Kubernetes and Docker (CaaS), AWS (IaaS, Functions), Openstack (IaaS). He has experiences on Scrum and agile methodologies as Scrum Master or Product Owner. He has worked in DevOps teams in Version Control-Based Deployment, Scale IT Automation and Deliver Value Continuously including Continuous Integration, Continuous Delivery. Mahyar Sepehr has several successful experiences in designing solutions with PI System in different industrial sectors from proof of concept, to performance testing and production monitoring.